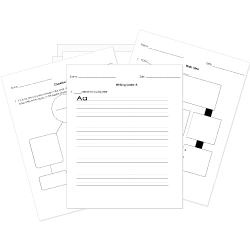 You can create printable tests and worksheets from these Grade 8 African-American Literature questions! Select one or more questions using the checkboxes above each question. Then click the add selected questions to a test button before moving to another page. "Reader, my story ends with freedom; not in the usual way, with marriage. I and my children are now free! We are as free from the power of slave holders as are the white people of the north; and though that, according to my ideas, is not saying a great deal, it is a vast improvement in my condition." Which phrase best fits the passage above? It takes a lot to break free from slavery. Women don't need a man to save them. It's not great, but it'll do. Slave holders and white northerners are the same. "When he told me that I was made for his use, made to obey his command in every thing; that I was nothing but a slave, whose will must and should surrender to his, never before had my puny arm felt half so strong." What effect did Dr. Flint's words have on the narrator? They made her feel helpless. They made her feel dirty. They made her feel enslaved. They made her feel powerful. What does the protagonist struggle with? Which is NOT a tone found in this autobiography? How was this text most likely received by current and former slaveholders when it was published? How does the author use the stories of female slaves who have lost their children? How was this text most likely received by current and former slaves at the time it was published? "READER, be assured this narrative is no fiction. I am aware that some of my adventures may seem incredible; but they are, nevertheless, strictly true. I have not exaggerated the wrongs inflicted by Slavery; on the contrary, my descriptions fall far short of the facts." Why does the author open the text with this quote? The narrator regularly points out that slaves must be judged by a different set of laws and standards than those in the traditional world. Why do you think this is? Why was Sojourner Truth's "Ain't I a Woman?" speech so revolutionary at its time?